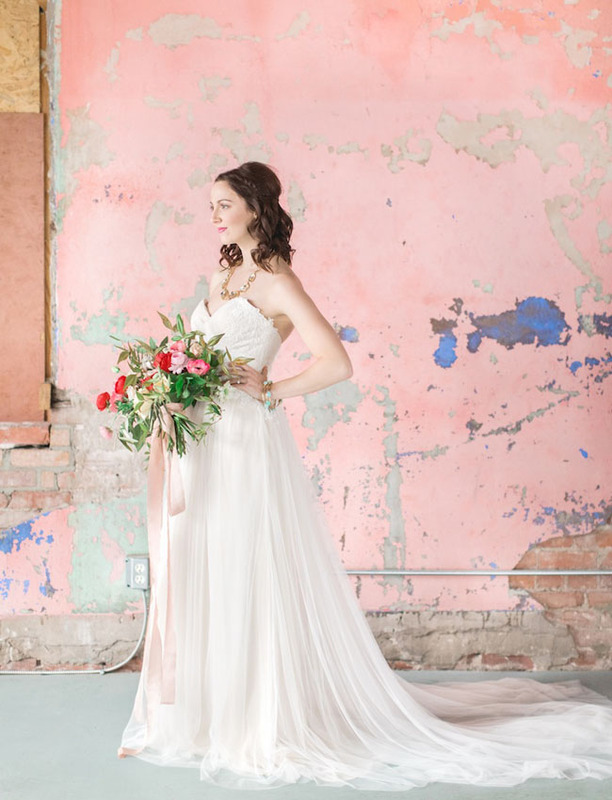 We heart all things pastel. 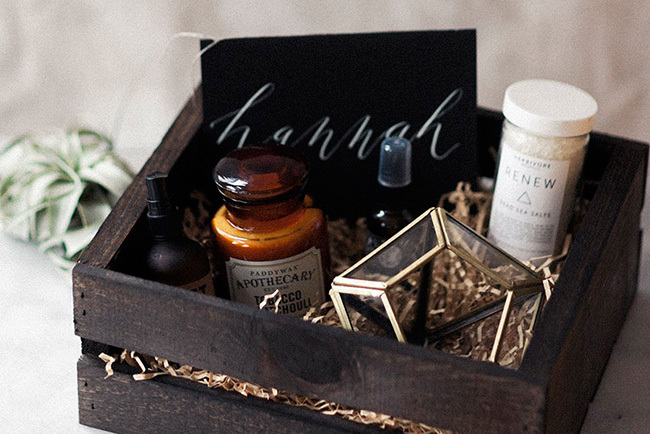 And all things geometric. So combine the two, and we’re so all about it. 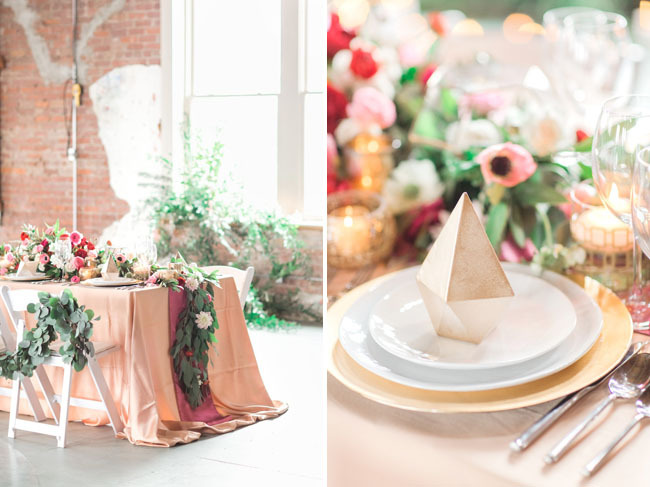 Weddings by Christopher & Nancy (a husband + wife photo team based in Arkansas) had a vision for an indoor editorial filled with fun gold geometric shapes and a soft, romantic vibe. 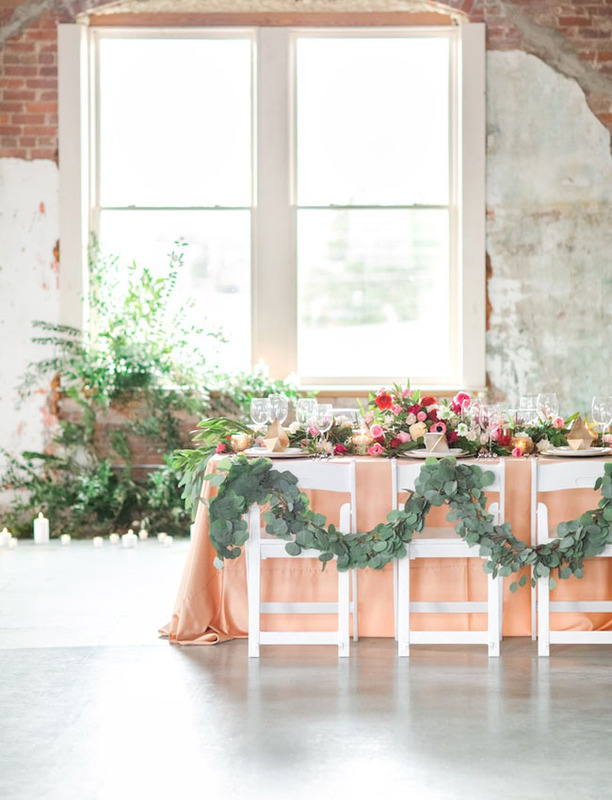 They teamed up with Magnolia Belle Floral & Design to execute their ideas at the Dreamland Ballroom – an old music theatre in downtown Little Rock that is currently being restored. 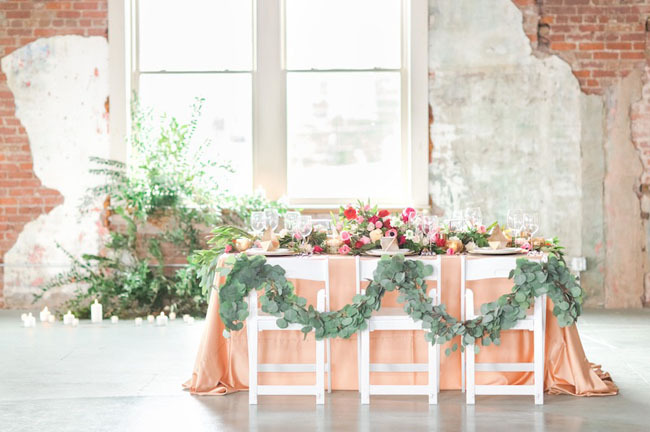 Choosing colors + textures to complement the aged ballroom – the pale dusty turquoise floors and multi color walls of brick, aqua and peach – an unexpected + beautiful scene came to life, perfect for inspiring couples dreaming of a wedding with a utopian feel. 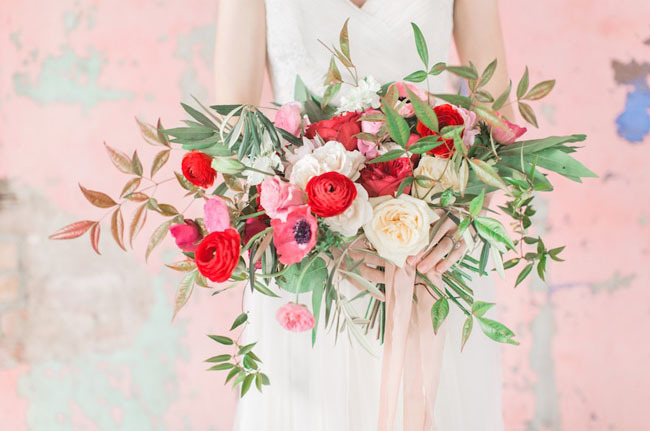 Anna Beth Rogers crafted one of prettiest bouquets we’ve seen, starring red + pink anemones, ranunculus, and garden roses. 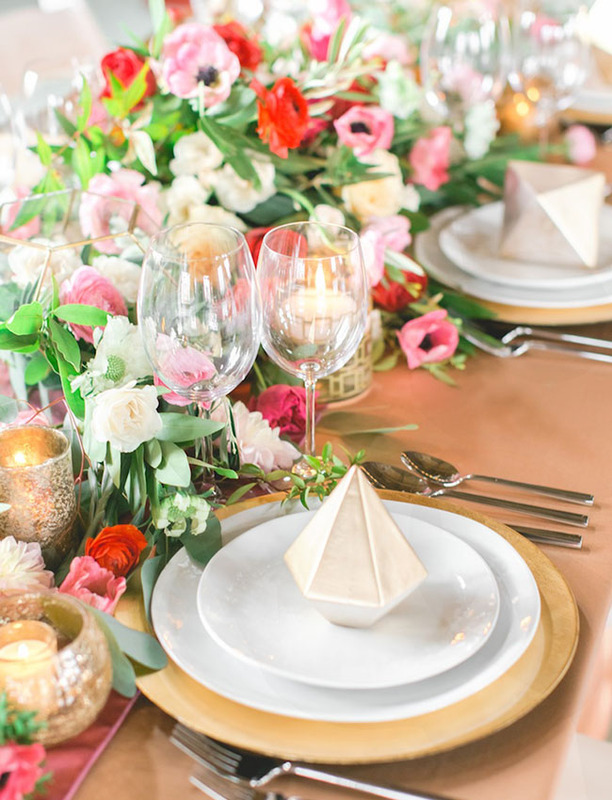 Christopher from Weddings by Christopher & Nancy says, The table consisted of fun gold geometric shapes on simple white plates, soft romantic candle light and glass shapes with floral spilling out. 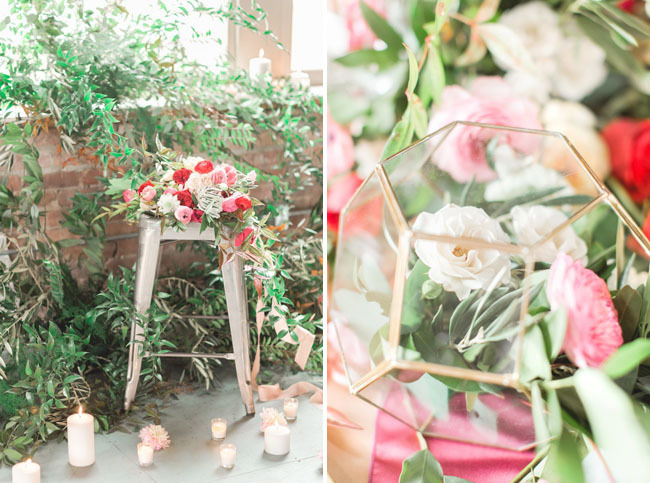 The flowers + greenery elements are just so good! 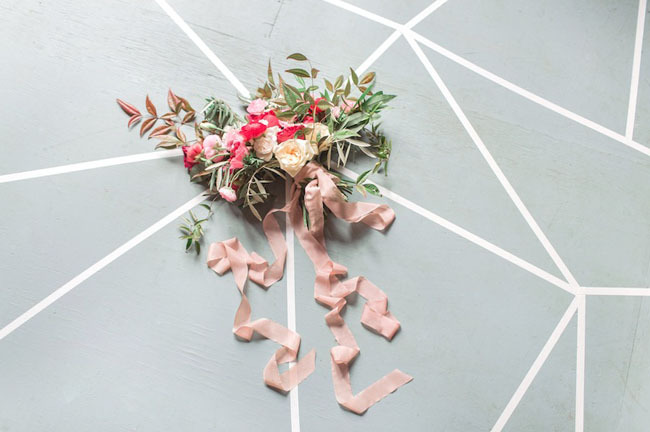 And loving that modern gem floor decal as well as the cake by Sweet Love! 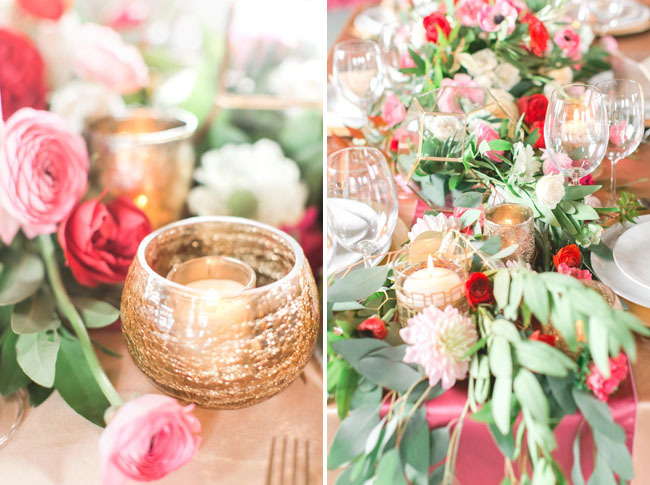 Big thanks to the team below for sharing this pretty shoot with us! Love the fresh colors! Everything works so nicely together. Perfect couple too! The walls of that building are gorgeous! It goes so well with everything. 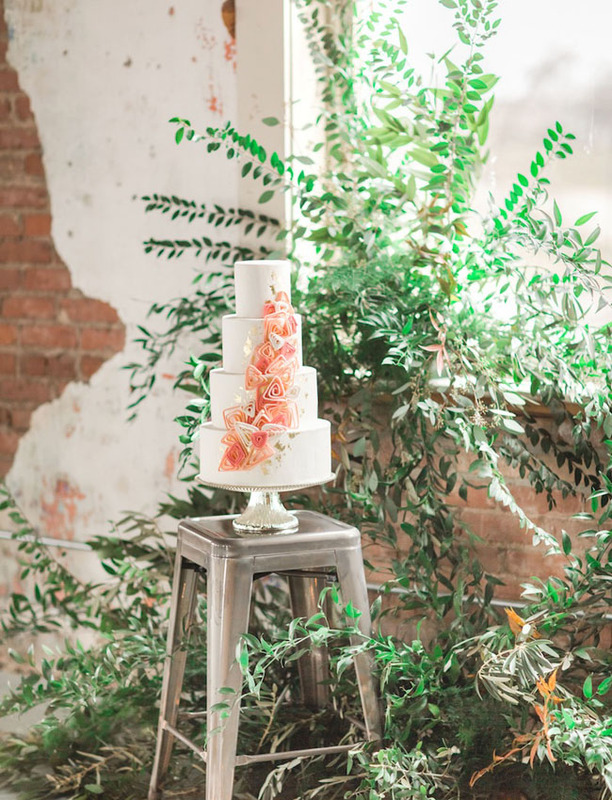 Love the cake- it’s kind of ombre but with a funky twist. Is there gold leaf on there or something else? Who designed it? 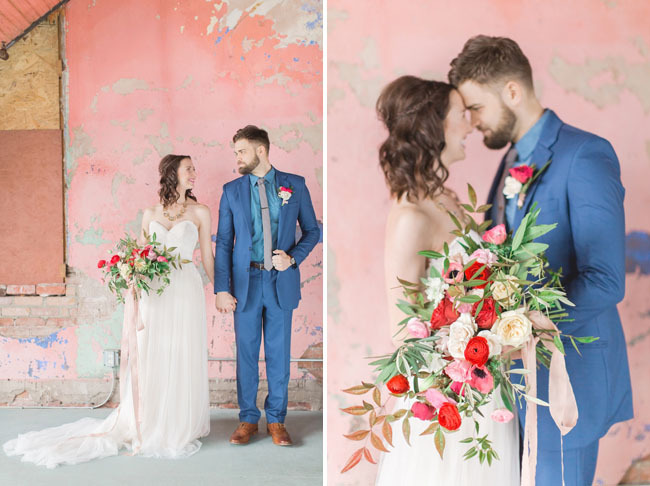 The beautiful flowers, unique accessories, and the classic elegant background. I really liked the set location. its gives an artistic impression. how much money is needed to make such a concept? 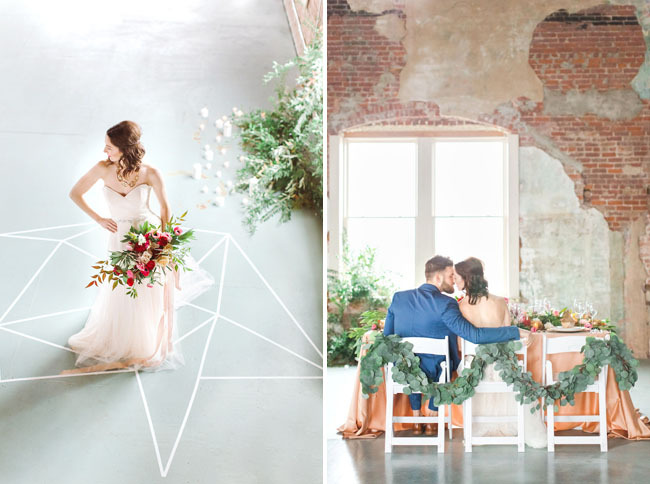 it’s unique wedding concept, things like that would be popular. Many people like something unique, and will be a lot of people will love the concept of marriage like this. 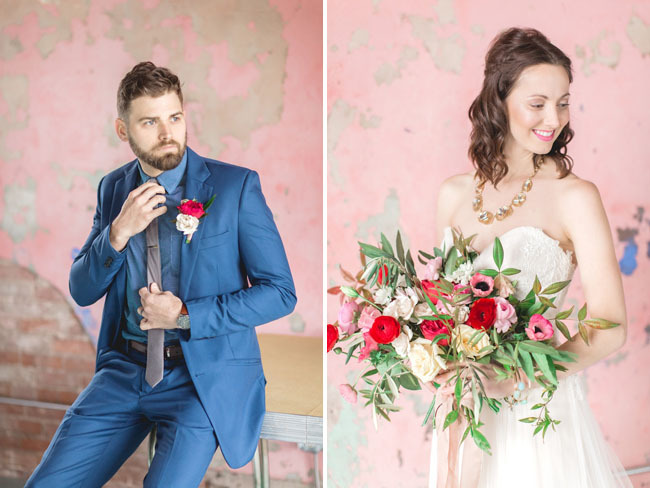 Such a nice photos and fantastic wedding really. 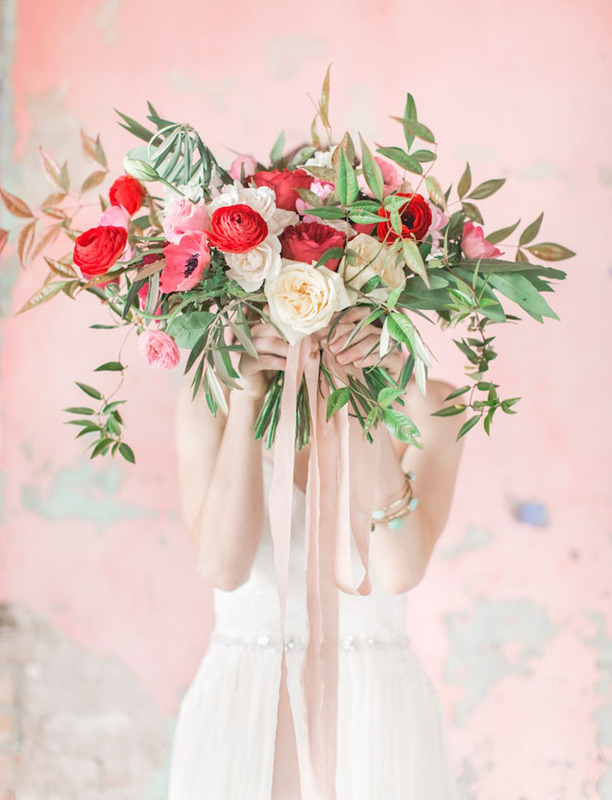 I like the bride bouquet and wedding dress so much. 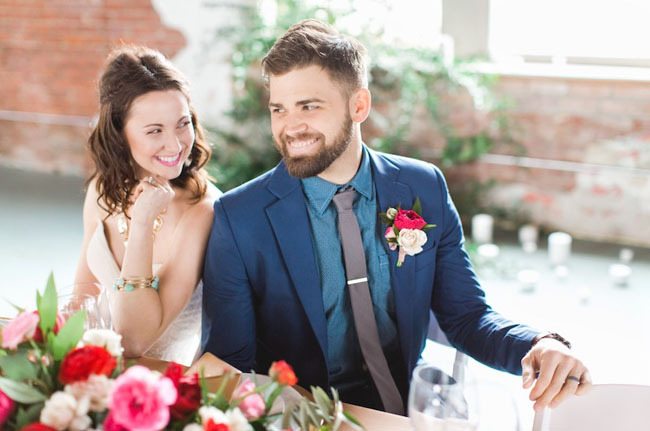 I liked this wedding photos so much. Thank you for sharing this nice wedding photos. Wow. 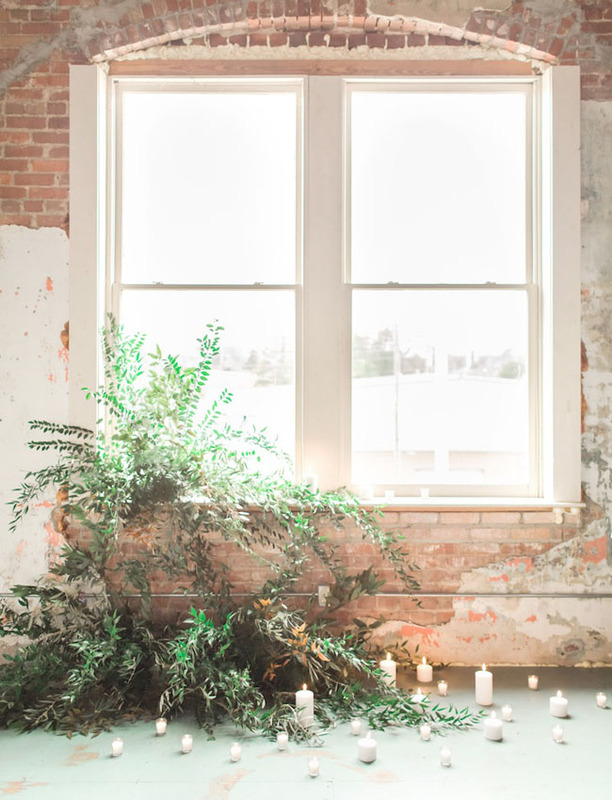 I love this wedding photos so much. Thanks for sharing it. I like the color of everything so much and flowers is so amazing. It is such a beautiful and wonderful wedding. Thank you for sharing it.